Calms the mind. Strengthens the arms, legs and spine. Improves balance. 1) Come to your hands and knees with the wrists underneath the shoulders and the knees underneath the hips. 2) Bring your elbows to the floor forearm’s distance apart. 3) Interlace your fingers, tucking the outermost pinky underneath. 4) Place the crown of your head on the floor cupped by your interlaced fingers. 5) Bring the hips up as if coming into downward facing dog. 6) Walk the feet in towards your head until your hips are over your shoulders. 7) Kick up one leg and then the other. 8) Press down strongly into your forearms to keep all your weight from coming into your neck and head. 9) Reach up through the balls of your feet and rotate the thigh bones inward slightly. Hold for at least 10 breaths. Try the following variations: Bring both legs up at the same time keeping them straight. Lower down the same way, holding the pose with the legs at 90 degrees. Bring the legs into a lotus position. Release your interlaced fingers and bring the forearms flat on the floor. 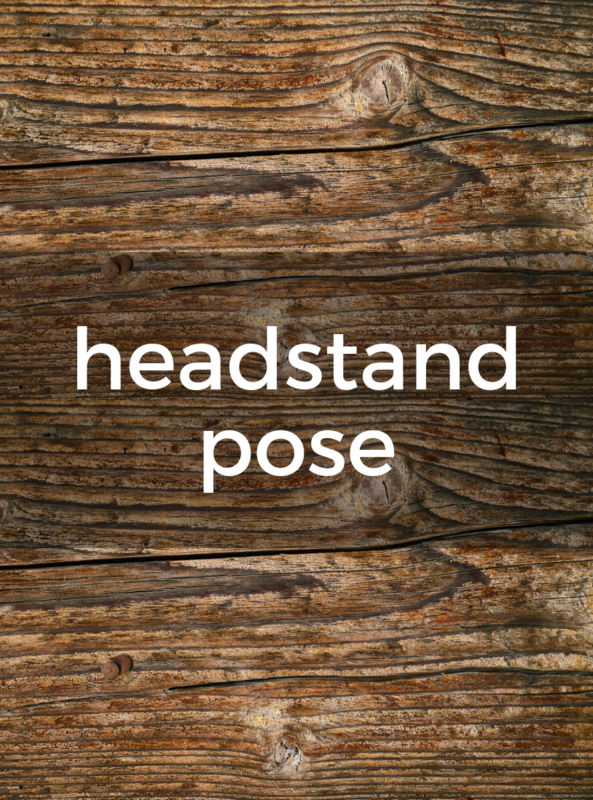 Lift your head off the floor coming into forearm stand.